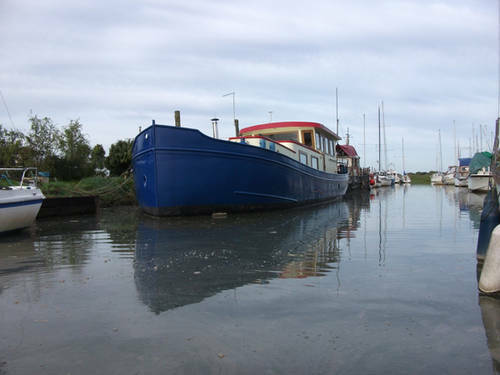 This custom built steel Replica Luxe Motor Vessel live aboard, has all the characteristics of the classic typical Dutch canal barges. She is ideal for cruising the inland waterways or French canals, Secluded mooring available by separate negotiation. 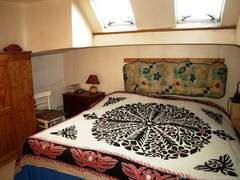 Please call +44 (0)1634 571605 to arrange a viewing. 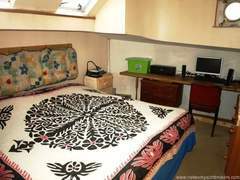 Accommodation includes two double cabins, a spacious shower room with full-sized, tiled shower, vanity unit and toilet. 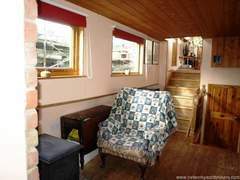 A large saloon within the wheelhouse area with comfortable leather sofa, 7 foot headroom, lots of windows and light throughout double glazed. 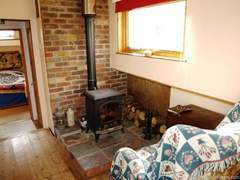 Leading down to a well appointed galley, with gas hob, electric oven and grill, microwave oven, fridge and freezer, pressurised hot and cold water system, also located within the galley is also a traditional wood burning stove. 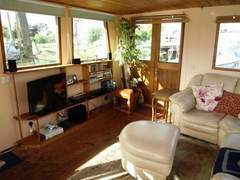 Wood floors throughout the lounge and galley. 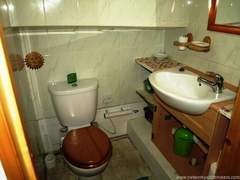 A small utility room features a washing machine and tumble dryer, and a further toilet. 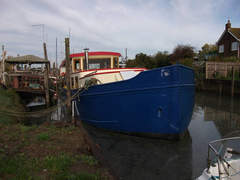 The Replica Luxe Motor Vessel powered by a single six cylinder MAN truck engine 130hp shaft drive to a 4 bladed bronze propeller, freshwater cooled, giving a cruising speed of approximately 6 knots and a maximum speed of approximately 10 knots. Fuel capacity of 1000 litres. Bowthruster installed but not conected. 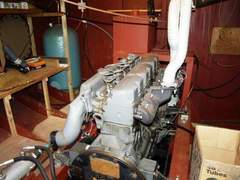 The engine room is accessed through a hatch on the stern of the vessel. On the foredeck there is a hatch which leads to a small workshop in the bow of the vessel.